On the four-hour chart Tenkan-sen line is below Kijun-sen, both lines are directed steeply down. Chinkou Span line is below the price chart; current cloud is descending. The pair has broken down the cloud and is still falling. Tenkan-sen line is the closest resistance level (1.6348). One of the previous minimums of Chinkou Span line is expected to be a support level at 1.6253. Let’s look at the daily chart. Tenkan-sen and Kijun-sen lines have merged above the cloud, indicating the reversal of the trend. Chinkou Span line has crossed the price chart from above; current cloud is still ascending. 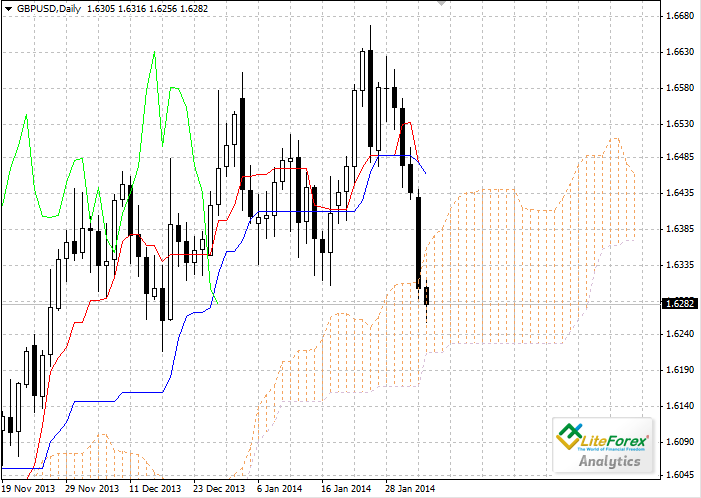 The pair has entered the cloud, borders of which are support (1.6216) and resistance (1.6361) levels. On the both charts we can see the continuation of the downward trend. 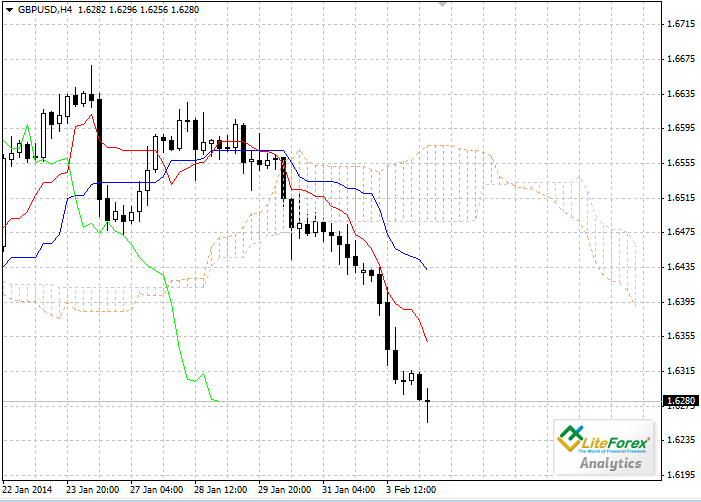 The targets for the sell positions are 1.6253 and 1.6216.